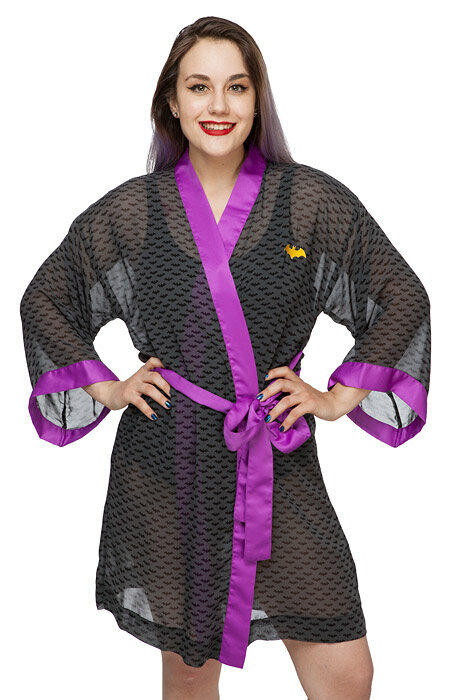 Lightweight sheer robes perfect for a swimsuit coverup, lounging at home, or even cosplaying pin-up versions of your favorite heros! 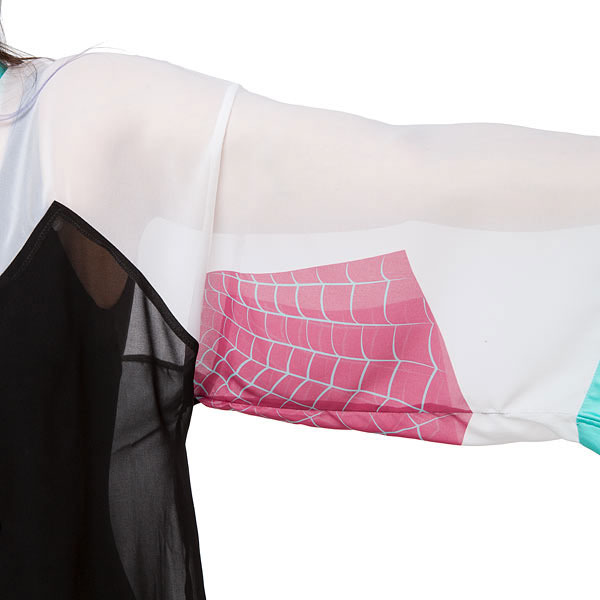 I worked on concept and technical design for these products at Ukonic, and they are available for purchase at Thinkgeek. 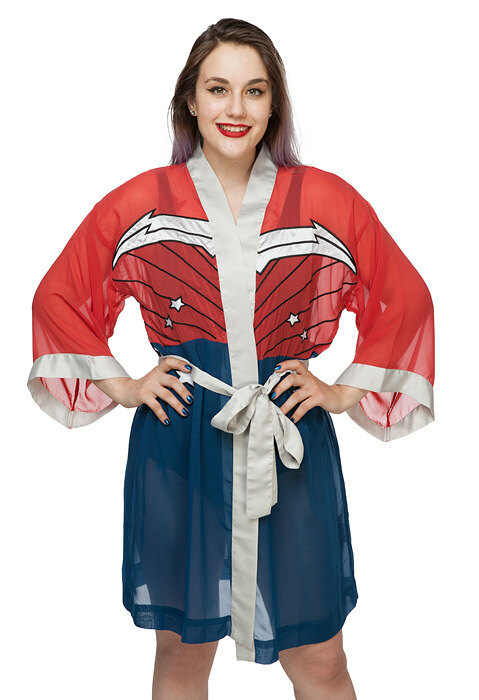 DC Comics Wonder Woman Chiffon Robe. 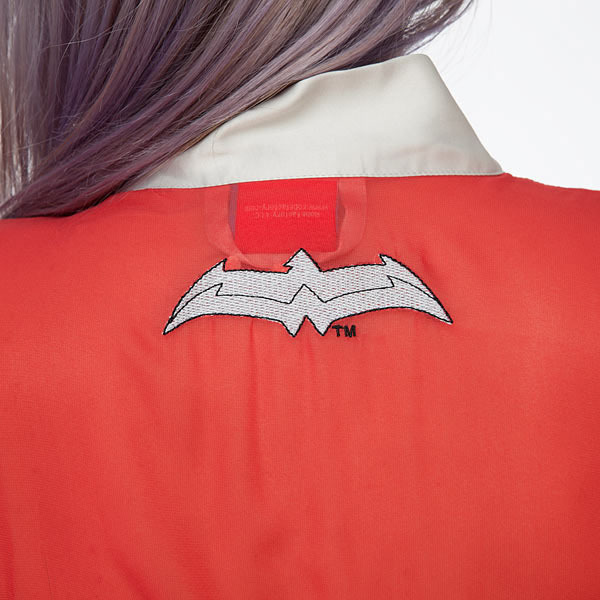 Based on her New 52 look, this red and blue colorblock sheer robe has silver satin trim and embroidered armor details at the front, with a Wonder Woman logo embroidery at the back neck. 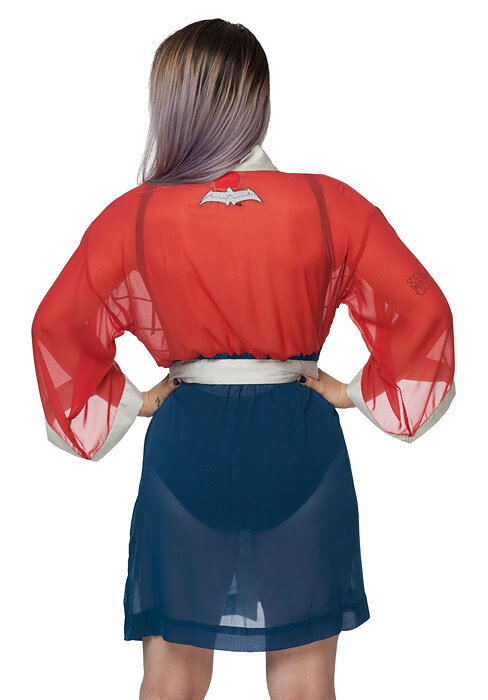 DC Comics Batgirl Chiffon Robe. 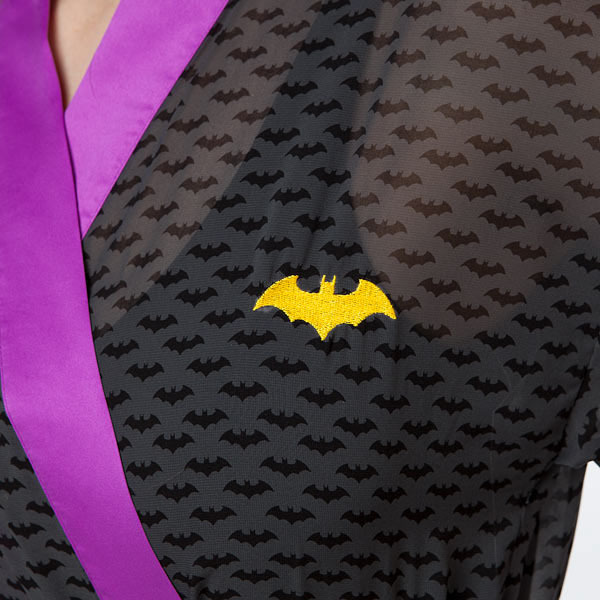 Tonal all over bat symbol print chiffon with purple satin trim and a yellow Batgirl icon embroidery. 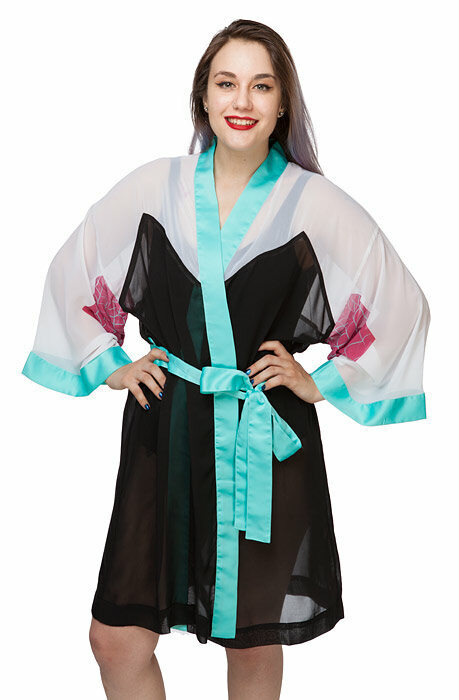 DC Bombshells Poison Ivy Chiffon Robe. 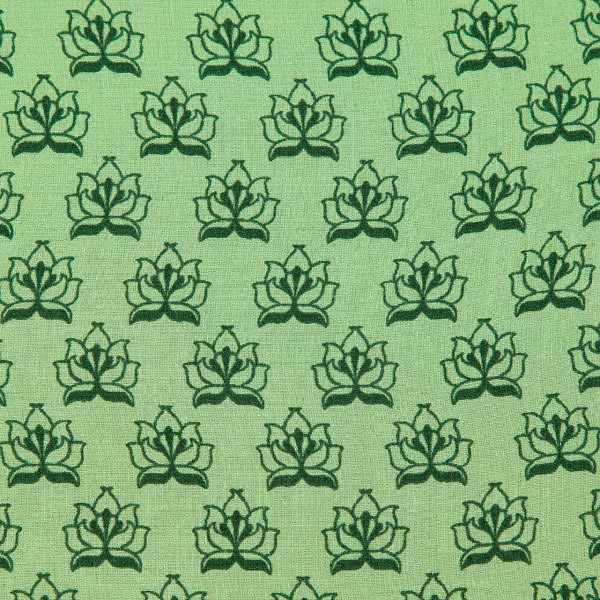 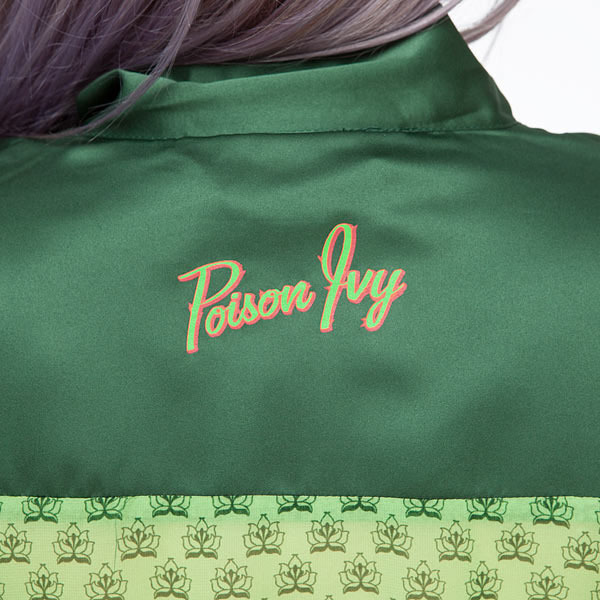 Green all over floral print robe with green satin trim, ivy print at front, and "Poison Ivy" print at back. 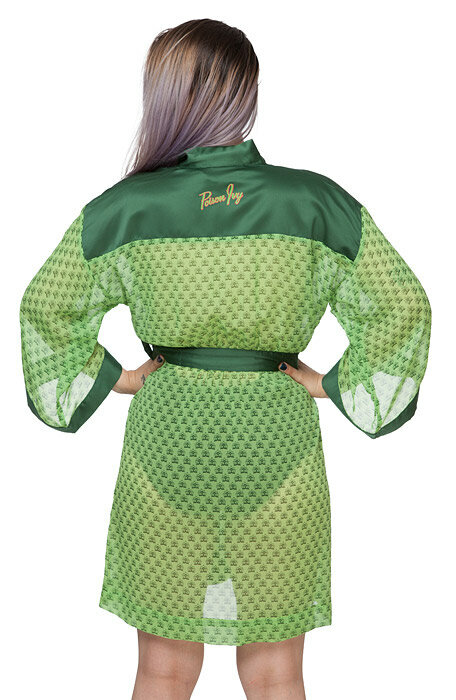 Inspired by the Bombshell Poison Ivy art by Ant Lucia, this robe is a retro pin-up take on the classic character. 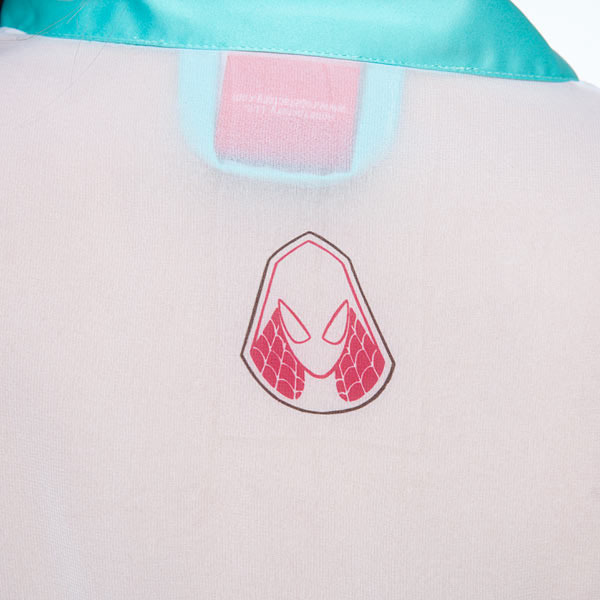 Marvel Spider-Gwen Chiffon Robe. 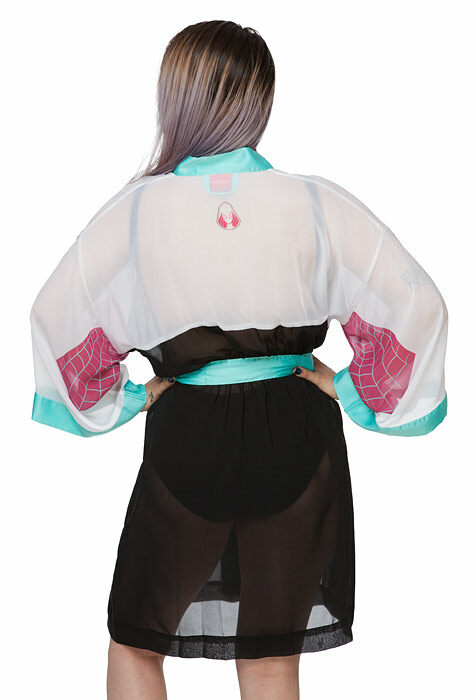 Colorblock black and white robe with cyan satin trim, pink and cyan web print at sleeves, and character icon print at the back neck. 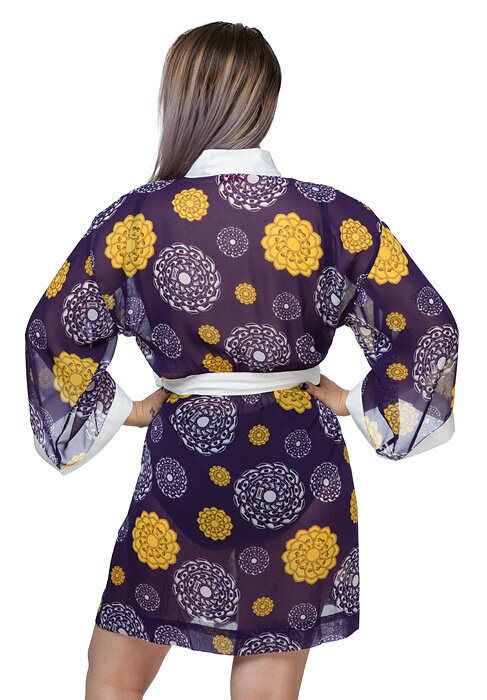 Star Wars Droid Floral Chiffon Robe. 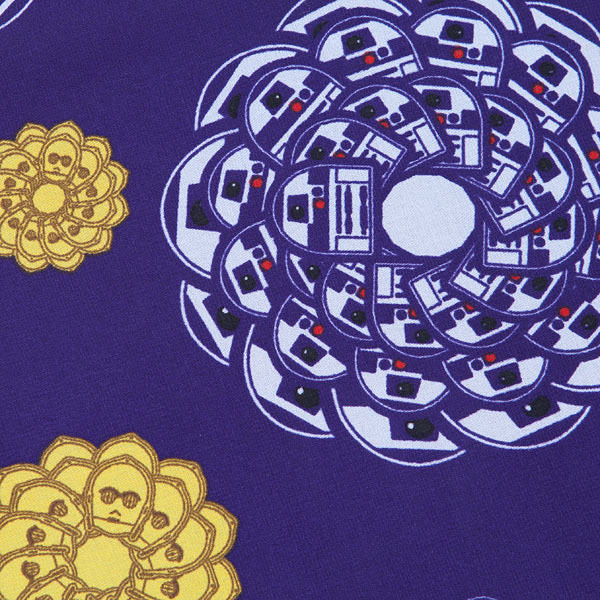 Royal blue chiffon robe with an all over floral-inspired pattern made of R2D2 and C3PO icons and white chiffon trim.